Manila, Philippines - The undisputed no. 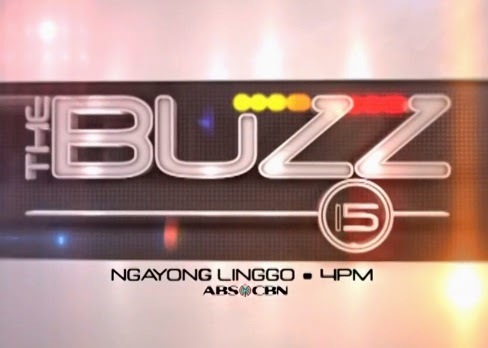 1 weekly talk show of ABS-CBN, 'The Buzz' is back on Sunday, May 18, 2014 in the celebration of its 15th year anniversary. 'The Buzz 15' replaces 'Buzz ng Bayan' which aired from October 20, 2013 to May 11, 2014. It's already confirmed that King of Talk Boy Abunda, the original host since its debut on June 13, 1999 is still part of the reformatted program. It was reported that the Queen of All Media Kris Aquino and the Multimedia Star and Pinoy Big Brother main host Toni Gonzaga will join Abunda on 'The Buzz 15'. ABS-CBN also released TV plug on Wednesday with upload on Youtube captioned "The Buzz 15: Ang Pagbabalik!". Netizens expressed their excitement for the comeback of the weekly entertainment show as they are still looking for the concept of 'The Buzz' than its replacement 'Buzz ng Bayan'. Philippine Entertainment Portal (PEP) confirmed that 'Buzz ng Bayan' hosts Carmina Villaroel and Janice de Belen will be no longer part of the show. Carmina will be part of Kris Aquino's daily morning program 'KrisTV'.